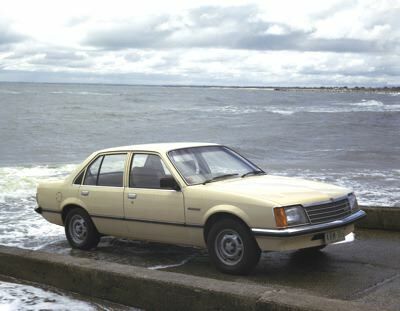 The VB Commodore’s release represented the latest world concept in vehicle downsizing at the time, replacing the then popular Holden HZ range. There was global “oil” shortage at the time and GM-H stole the market place with this more fuel efficient, compact design. This was the first Commodore of the highly successfully Holden Commodore range and is the grand-daddy of them all. 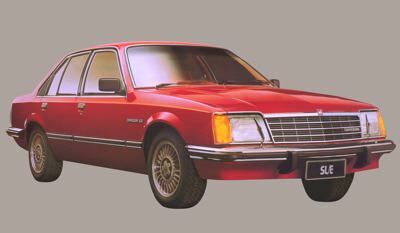 Top of the line was the Commodore SL/E, fitted with the 253 4.2 litre V8 engine and Tri-Matic transmission as standard. In addition to the SL’s list of features, the SL/E had a blacked out grille, headlight wiper/washers, extended rear bumpers, 15-inch alloy wheels, black door frames and tail panel, chrome exhaust, velour trim and cut pile carpet, reading lights, tachometer, burr walnut dash, four wheel disc brakes, power steering, air conditioning and a Eurovox stereo radio cassette player with electric aerial. Probably the most popular model in the VB Commodore lineup was the “SL”, fitted with the 3.3 litre and Tri-Matic auto as standard. The first Commodore’s high levels of comfort, generous standard equipment and excellent performance and handling capabilities brought a new level of sophistication to the market, earning it top-selling status and the 1978 Wheels Car of the Year Award. VB Commodore sedans and station wagons combined the best available international technology of a GM “world car” design with Australian developed powertrain, steering, suspension, body strengthening and dust sealing. In additionto the base model there was SL and SL/E derivates. Engine choice was 2.85 litre six cylinder, 3.3 litre six cylinder, 4.2 litre V8 and 5.0 litre V8. Base price when new : $6,513.